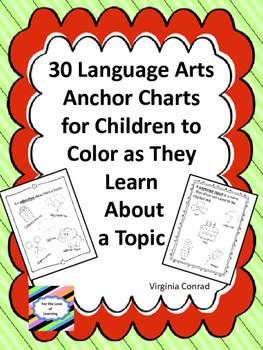 This packet includes 30 anchor charts made just for students. 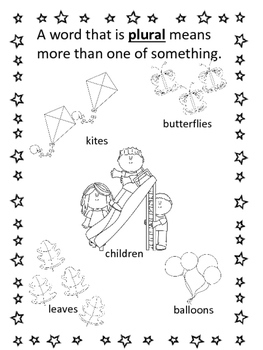 Each sheet has a concept defined and examples with illustrations for the students to color. Use in a variety of ways! 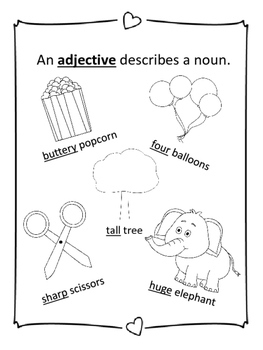 *pass out the anchor charts when the skill is being taught *send the anchor chart home for a home-school connection *pick all the ones you want to use and make them into a coloring book for students to keep at school for quick reference *use as mini-posters around the classroom. 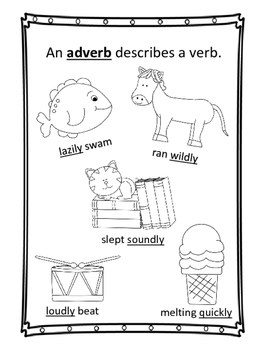 Some topics covered: synonyms, antonyms, adverbs, adjectives, nouns, verbs, long vowel words, short vowel words, compound words, common nouns, proper nouns, collective nouns, four kinds of sentences, ending punctuation marks. singular words, plural words, and MUCH MORE! Be sure to browse through my store to see what other items I have that will help meet the curriculum needs of your students. Just follow me to receive notifications of new learning materials I am creating for your classroom and mine.